The aircraft on the photo looks absurd from the point of view of the normal aerodynamics of the aircraft - it is a wing with the same profile across the entire width and not having a stabilizer. In the course of my experiments, I came to the conclusion that this form is fully justified and more effective, but just like the plate it requires the use of the most advanced technologies. This aircraft is a flying wing of the usual aerodynamic configuration with a profile that allows him to plan sequentially. Inertia mounted on the wing causes it to vibrate, increasing lift. Being without movement, such a system, due to its primitive design, practically does not create any thrust, but the effect in the counter-flow increases significantly, since a vortex medium is formed around the apparatus, which creates an effect of added mass, increasing the area of ​​interaction of the wing with the medium. This phenomenon explains the effect discovered by Grebennikov in the beetle eaves of a beetle. Such structures contribute to the formation of multiple microvortexes at the slightest movement. The vortex, as a stable phenomenon, fed by the thermal energy of the air, makes it possible for a swallow to fly, while it cannot take off from the ground. The aerodynamic profile of a strange sickle-shaped airplane is due to the fact that it only works on lifting force, and its stabilization is carried out with the help of an engine. Its counterparts by nature are the bodies of insects - for example, wasps. In some experiments, I also used a similar profile and received a significant increase in lift during unstable flight, which is almost impossible for an ordinary aircraft. 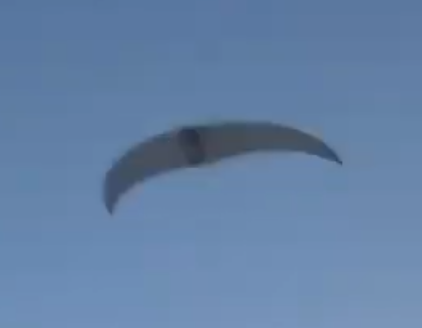 https://youtu.be/Tj1HHjRZNVU The rounded shape of the wing contributes to the natural movement of air and the more rapid formation of a vortex. I discovered in quantum physics a lot of controversy and controversy between scientists, which lasted for 100 years on the issue I'm working on. The reason for this is the absence in the theory of relativity of the subatomic medium, the ether, through which the gravitational interaction should occur. Therefore, the interaction of atoms in the theory of relativity is considered instantaneous, and the difference in the densities of the subatomic medium is replaced by the curvature of spacetime, the measurement system. Since the motion described by me through asymmetric vibrations does not imply an instantaneous interaction of atoms, further conclusions are in no way connected with theory of relativity . A photon is a vortex formation of fundamental particles of the ether, which occurs when energy is transmitted through a subatomic medium possessing the properties of matter - pushing and jumping, and at the same time it is a wave that does not exist in a quiescent state. This, incidentally, is not surprising, since there are no calm state of the waves in the sea except for winter. And in the same way, sea waves form whirlwinds. Thus, the same principles apply to light as to waves and eddies in air and water. The same principles apply to movement with light as with movement in air or water. By creating and reflecting light waves, by analogy with the oscillatory motion in water, you can create a pressure drop in the ether, which will set the device in motion. 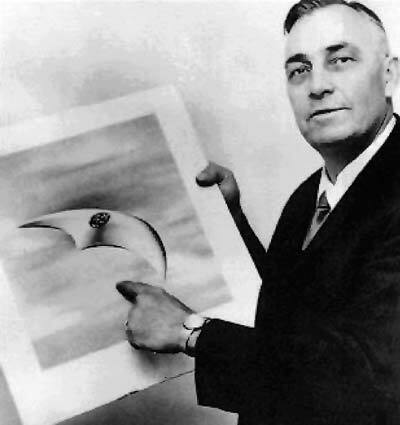 This explains the high reflectivity of a sickle-shaped aircraft, which has a solar wing instead of a solar sail.